One of the few conifers that grows in the shade. 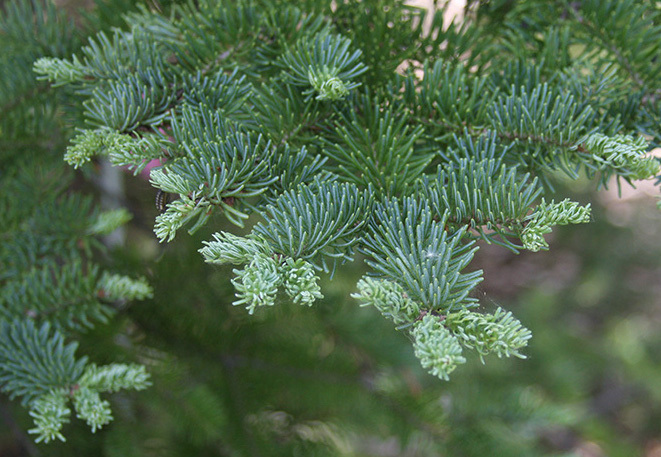 The balsam fir (Abies balsamea) is a very versatile tree. It is popular with landscapers for its conical compact form and soft deep green needles. It usually reaches 10-15 meters in height, but can grow to 25 and live 200 years. 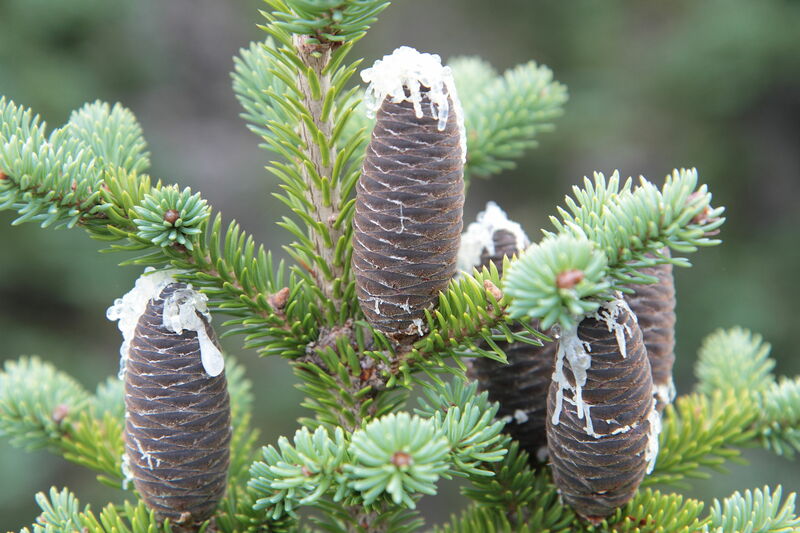 The Balsam Fir is the most cold-hardy and aromatic of all firs. It seems to easily tolerate the Canadian cold and adapts to a variety of soils. It is shade tolerant when young, but prefers sun when mature. This tree is native to Canada, ranging from north and central Alberta through to the Maritimes, and south into the Appalachians of the United States. It is declining in the southern, high elevation reaches of its range. Among its many uses in Canada, the resin from the bark of the firs is used in making microscope slides because its refractive index is comparable to that of glass. The foliage has a very nice fragrance. Firs produce upright cones that look like candelabras. The resin of this tree was used as chewing gum and a waterproof adhesive. The seeds are eaten by grouse.